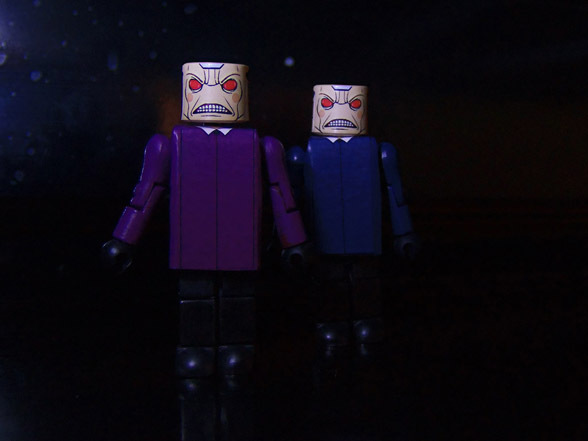 Grab your fish sticks and custard, because an exclusive Doctor Who Minimates Box Set is coming to Luke’s Toy Store! 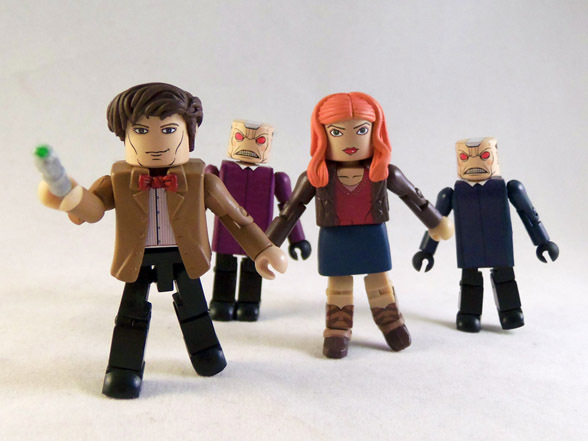 This set of 4 Minimates is based on the Season 5 episode called The Beast Below, and includes The Doctor, Amy Pond, and two Smilers. 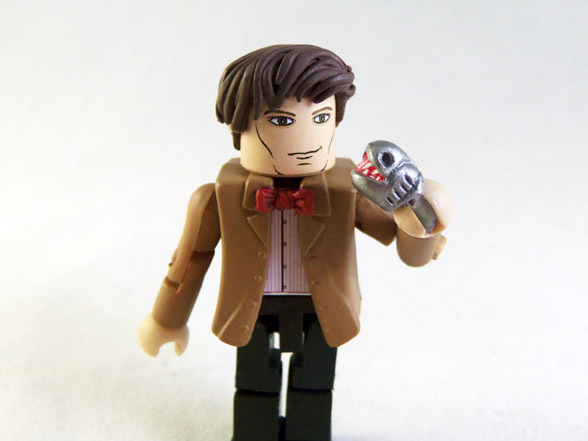 The Doctor also comes with an extra Cybermat hand from the episode Closing Time. All 4 figures were on display at the Luke’s Toy Store booth, along with "coming soon" signs for another box set next year. Also at the booth, Luke had a Cybermat life sized prop attached to his foot, and pretended that it was slowly eating him over the course of the day. Local authorities and paramedics were only called to the scene twice.